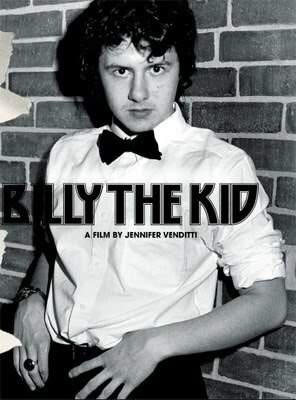 Billy the Kid: a documentary by casting director Jennifer Venditti, chronicling a short period in the life of a passionate, sensitive, conflicted, and sometimes troubled teenager from rural Maine named Billy Price. This is the perfect film for Intimate May... it's closeness, its nakedness, and its sense of purpose are like an emotional antenna, picking up and reacting to all the deeply-rooted anxieties and uncertainties inherent in adolescence. If you read up on Billy Price's life since he was the subject of a probing documentary film, you'll find he was diagnosed with Asperger Syndrome after it was created. This provides a minor insight into some of the peculiarities in Billy's behavior: his fluttering, nervous habits of making occasional eye contact, his apparent insensitivity to social cues, and his lack of a filter during conversations. However, in reality, the diagnosis doesn't really explain anything... even its medical basis is uncertain, and within the space of the film, it only really provides the illusory relief of giving us a label to put on the subject's behavioral quirks. In a certain way, discovering this label breaks down one of the film's greatest achievements: that it allows us to see Billy as a complete person, the greater product of a range of virtues and difficulties ("complications," as he calls them). Watching Billy the Kid caused me some discomfort. Some may assume it's the discomfort of sudden close proximity to someone who seems strange to you; for me, it was the discomfort of recognition. In Billy, I see the anxiety that I lived with all through adolescence, especially when I was first interested in womenfolk. There are things I did in private as a teenager -- second-guessing myself, trying to force myself to be clever and conversant, trying to build courage and often failing, and occasionally surrendering entirely to the triumph and drama I saw in my own mundane childhood -- that I've almost forgotten about, now that I've internalized all the social conventions, frustrations, and familiarities that are required for "successful" adulthood. I may never have been as far outside the mainstream as Billy, who contrasts sharply with the socially-lubricated kids around him, but I felt all those things acutely. Those feelings are the foundation for the power of Venditti's film. Why is it so effective at evoking these primordial anxieties? Because Billy doesn't just hide those familiar conflicting feelings under feigned confidence or shyness... he wears all of them on the outside, carries them through his day, and presents them to the camera. Billy's scenes with Heather are harrowing sequences, because he works so hard for every morsel of attention. His moment of conflict, standing outside the diner and amping himself up to enter, is crushingly familiar, and it's something I've replayed in my own head on dates, even in adulthood. His inability to maintain a smooth conversation with the people around him, and his approach to it (just keep trying just keep trying), are both outward projections of deep fears of mine, and I confront them whenever I'm thrust into a new social situation or forced to hang out with people whose opinions I care about. The things that make Billy seem so immediate, so unmediated, are inherent to his personality, and it seems that Venditti just got lucky in finding so frank a subject. Billy has very little filter and very little sense of privacy... he's amazingly nervous and awkward, but surprisingly unselfconscious, especially about his situation with his father and his love for his family, both of which he wears as markers of identity. He is also forthcoming with his private victories, such as his love poem after he takes his first walk with Heather. These moments of triumph are treasured things, no matter how brazenly outgoing you are, and when Billy shares them with us, it feels more intimate than any of his lectures or displays of frustration. Jennifer Venditti gives Billy a voice, and it's not always directed at us as the audience. In one surprising scene, she visits Heather, Billy's hapless love interest, and though it's off-camera, it's clear that she asks a rather personal question: "Why did you break up with him?" Heather has to rally in the face of the filmmaker, and she doesn't have a readymade response to this inquiry... her grandmother steps in and repeats an earlier explanation. This struck me as cruel, in a sense, but also as redeemable, because when we adolescent boys are frustrated in our romantic pursuits, we get a palpable sense of isolation and invisibility, and there's rarely a remedy on hand. At least Billy has someone to represent him and confront Heather about her decision (with fair objectivity and diplomacy, of course). 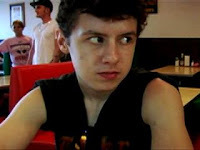 Venditti's lens thus becomes both a window on Billy, and a proxy for him in the face of a sad but inevitable situation. Of course, there's no doubt that the camera affected everything that came in front of it, and many of these subjects may have been characters performing roles for the filmmakers. The presence of the recording device may have suppressed some of the mocking and bullying Billy received, or it may have contributed to both the rise and the fall of his micro-romance. Of course, sometimes kids are just less cruel than we assume they are, and sometimes things are just hard to predict when you're a kid... so the general effect of the camera is indeterminate. Its only traceable intrusion is in the self-consciousness that it generates in its subjects, like Billy, who often glances at it but generally avoids making eye contact with the lens, and Heather, who seems to struggle to ignore its presence. Whether this is a polluting influence or simply an unavoidable, and therefore honest, intrusion into the lives of its subjects is a topic for discussion among methodological purists and documentary theorists; I'm just here to appreciate the honesty of the portrayal, even if it's simulated, to some degree. Seeing Billy the Kid, I can't help but think of Chris Smith's American Movie, which was also a film about a gawky, passionate outsider whose nakedly honest self-presentation complimented his ocean of eccentricities. That was a film about a Midwesterner named Mark on a quest to produce his masterpiece horror movie. Mark and Billy are only related in the most general ways... both are outsiders in a small-town setting, both struggle to cope with a certain measure of gawky awkwardness, and both are invested in epic struggles to find their places in the world. However, there's a kinship between them, and at the very least, I can say that if you liked Billy the Kid, there's a good chance you'll like American Movie. These are the characters that make up our textured culture, and in a society that's obsessed with financial success, generic heroism, and rebellion controlled by convention, Billy is the type of person who often slips through the cracks of the social sphere. We're lucky that Venditti gives him a forum: his voice is potent, so his film is powerful, and you may find him uncomfortably close to some tender surfaces of your soul.